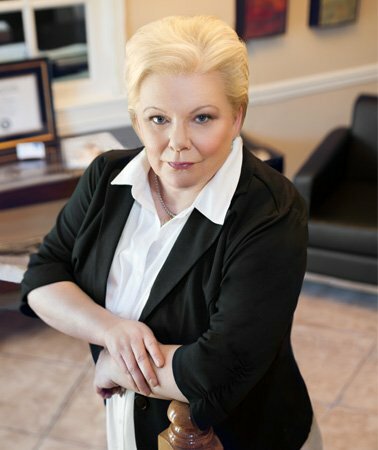 As litigators who regularly try and appeal cases in Marshall County Alabama and surrounding areas in divorce and family law, estate planning and probate, and business law, The Hawkins Law Firm frequently encounters questions from clients regarding the appellate process. Below are brief answers to some of the most frequently asked questions. If you have further questions, require more information, or need high-quality legal assistance with an appeal, contact The Hawkins Law Firm for a consultation. Q. What is the procedure for appealing a case? A. Following a trial, if you intend to appeal, you generally must file a notice of appeal in a timely manner. The timeframe for filing this notice of intent to appeal differs depending upon the type of ruling appealed and may range from two to six weeks generally. Likewise, the appellate petition, such as a writ of certiorari, must also be filed within the required timeframe. In order to be granted, an appellate petition must state the grounds for the appeal, along with statements of the facts and law which would support the appeal. Not all appeals are granted by right. In fact, in civil litigation most appeals are discretionary, and the appellate court decides whether or not to hear the appeal based on the petition and the questions of fact and law presented. Q. What is the standard of review in an appeal? A. In a civil trial, most issues are decided on a standard known as the preponderance of the evidence, meaning that the court rules in favor of the side which presents more evidence. Imagine the evidence being weighed on a scale; the side with the heavier scale wins. While the standard of review in an appeal differs from case to case, the standard is generally considerably higher, such as showing whether the court abused its discretion, or showing that the judge made clearly erroneous findings of fact. In some cases, an appellate court may review the case de novo, which means the appeals panel makes its own findings of fact and conclusions of law based on the evidence, instead of merely reviewing the decision at the trial level. Q. When can you appeal? A. An appeal is not a second chance to try your case before a judge. In order to appeal, you must be able to document some error or errors at the trial level. The issue on appeal is solely related to that error and how it harmed your case. For instance, you may argue that the judge allowed in evidence which should have been excluded, or that the judge gave an improper instruction to the jury. You may also argue that the judge abused his or her discretion in some way, or acted in an arbitrary or capricious manner. Q. What happens if I win my appeal? A. The appellate court has discretion on how to decide an appeal. An appeal in your favor may consist of a reversal of the lower court decision or a modification of the decision in some material way. The court may also remand, or send the case back to the trial level for further proceedings. Not all errors will change the result from the trial level. The court distinguishes between “harmless error” and “reversible error.” It is not enough to show some error made at the trial level; you must show that it was significant enough that the outcome of the trial should be different. Q. If I lost at trial, do I have to pay the judgment even if I am appealing? A. You may be able to suspend payment on a judgment pending an appeal. This may require applying to the court for a writ of supersedeas or other legal measure. Your attorney can help you determine what steps you need to take following a judgment at trial to protect your rights.